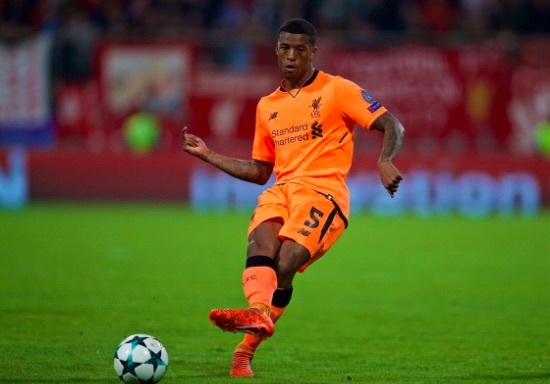 Jurgen Klopp will use Gini Wijnaldum as the ‘no.6’ (as he calls it) for the game with Manchester City tomorrow. The boss is without suspended captain Jordan Henderson and injured German Emre Can, our first two options in the position. As a result, the Dutchman will step in, with Alex Oxlade-Chamberlain and James Milner either side, following a very successful Merseyside Derby audition in which he was named Man of the Match. According to Klopp, Liverpool have been training ’11 v 11′ to help Wijnaldum get used to the position. “That was obviously the plan to use the chance and yes, it was good,” Klopp told today’s press conference, cited in the Echo. “Gini is a brilliant player for an attacking midfielder, he is creative, he is good with the ball, he can fix the ball and he has good vision and everything and he can jump to the roof. “He is physically strong, so that’s good. But we only had two days of training (before the derby) and we constantly trained 11 v 11 to give him the practice. “He did really good. In the first half there was no pressure and he started dribbling in a moment when I was like ‘okay, you want to put grey hairs on my head!’. We have no worries about Gini, actually. The no.6 role actually suits his attributes better than the box-to-box midfield in our opinion, because he’s so good at shielding the ball with his body and is rarely dispossessed. He won’t spray long passes like Henderson would, but lays the ball off very well and is smart in tight spaces. It’s vital that at the Etihad he’s also combative defensively, as Kevin de Bruyne and David Silva will be consistently running from central positions.